AGIT-PROP-FLASH-MOB is an art project by Iva Kontić which the artist did for her PhD studies at the University of Arts in Belgrade, under the mentorship of Prof. Dr. Zoran Todorović. 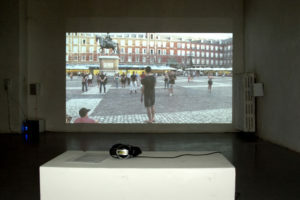 AGIT-PROP-FLASH-MOB is a series of in situ public urban flash-mob performances taking place in different geographic and social contexts which were then transferred from everyday life space to the exhibition space of a gallery as video/sound installation. 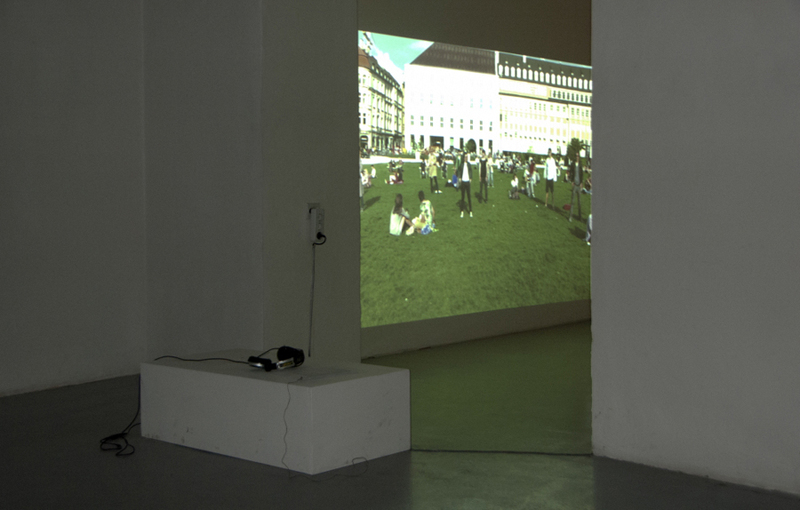 They were organized at the central spaces of urban gathering – squares. 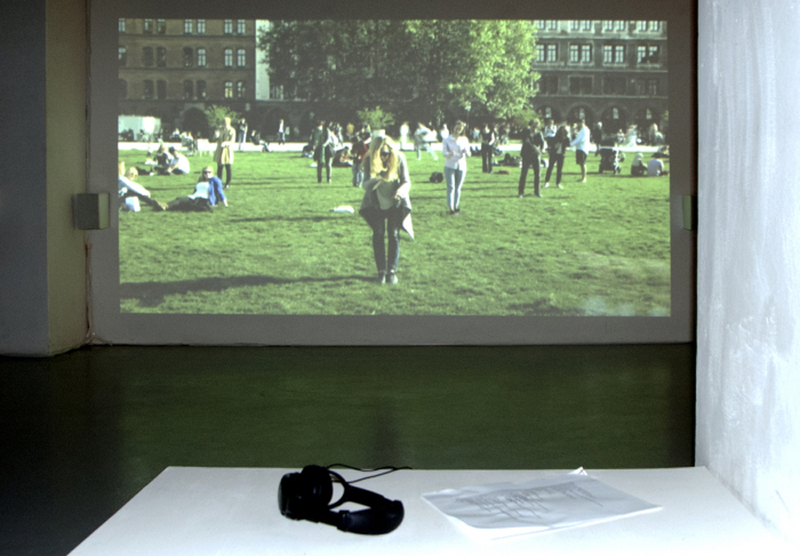 The performances interpret labor physical experience of an individual through choreographies made of instructions which are testimonies from the local communities on the most frequently repeated physical movement during work. 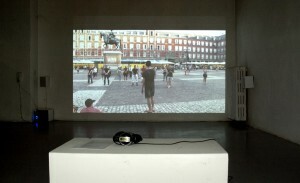 Each street intervention is different adapting its content to the context within which it takes place. 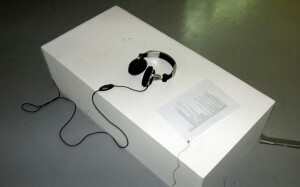 It involves a group of participants which have been “recruited” on the spot and which collectively perform the choreography following the instructions of movement on their mobile telephones /mp3 players. 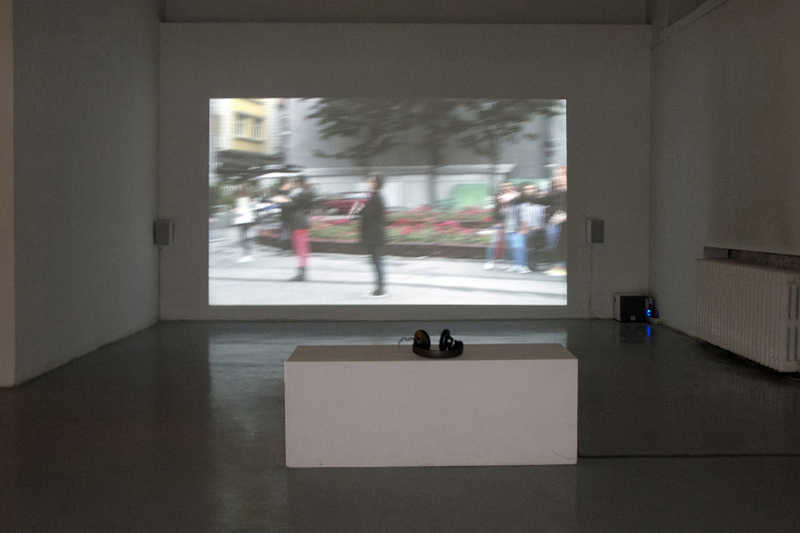 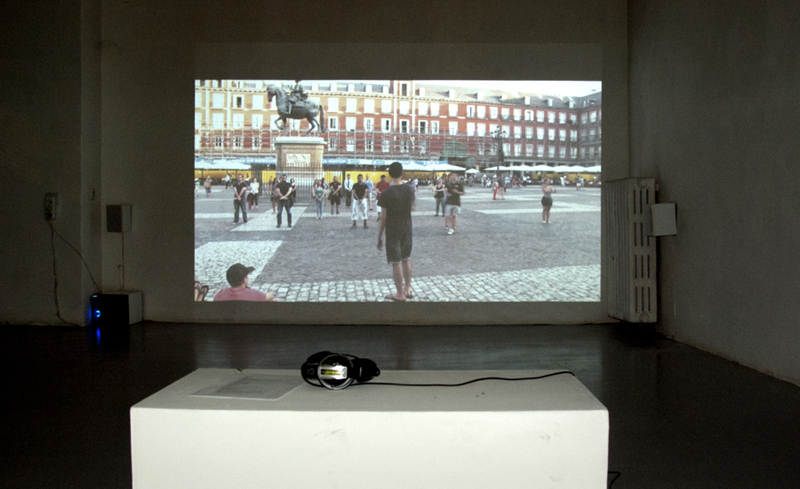 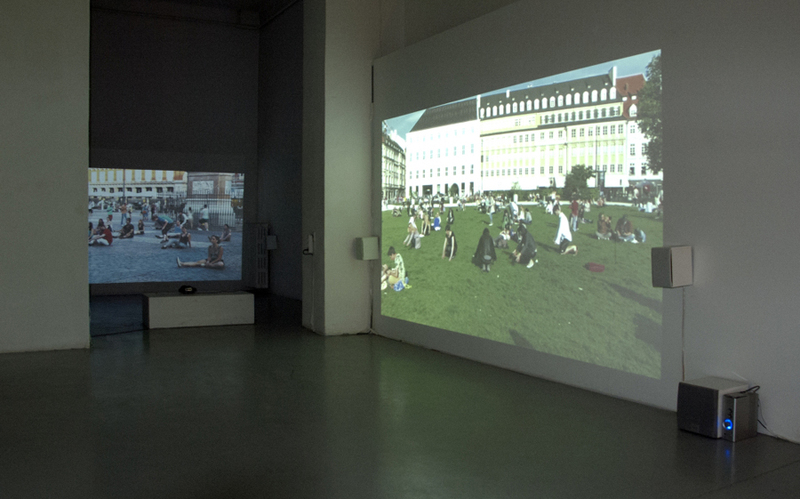 Video/sound installation presented in the U10 Art Space shows the performances which took place in Munich, Belgrade and Madrid between May and July 2015 and which at the same time make the beginning of a potentially endless series of urban interventions. The PhD exhibition video-documents those performances and offers insight into their choreography instructions via audio recording at the same time creating a new perceptive perspective for the interpretation of the artistic gesture. AGIT-PROP-FLASH-MOB analyses the role of the engaged art practice in the current socio-economic settings as well as the potential of art to be an active participant and the moving force behind the social changes. The starting point of the project is the problematic position the individuals are facing on the current labor market which frequently leaves them to their own means, making it more and more difficult for them to adapt and fit into the system in a way which would be in consistence to their approach to fighting for their existential and labor rights. Having as a starting point an aspect of the reality which in the last five years became an acute problem of global proportions, AGIT-PROP-FLASH-MOB finds an inspiration in the more and more popular phenomenon of public group dance as a means to express the collective dissatisfaction and point to the problems connected to the survival of the individual in the society of today and its economy frame. The work recontextualizes the popular contemporary phenomenon of flash-mob and the practice of historical avant garde within the engaged art performances and action of agitprop using their key anthropological and poetic values for defining the work while at the same time adding to them a new function and meaning in relation to the current thematic parameters. 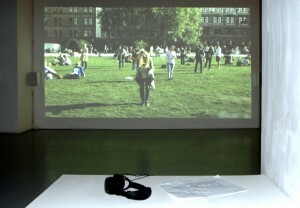 AGIT-PROP-FLASH-MOB was supported by: Ministry of Culture of the Republic of Serbia, Kulturreferat der Landeshauptstadt München and MaximiliansForum, where a part of the project was exhibited within the residential program “Collaboration_7” (Munich, 01–31 May 2015). 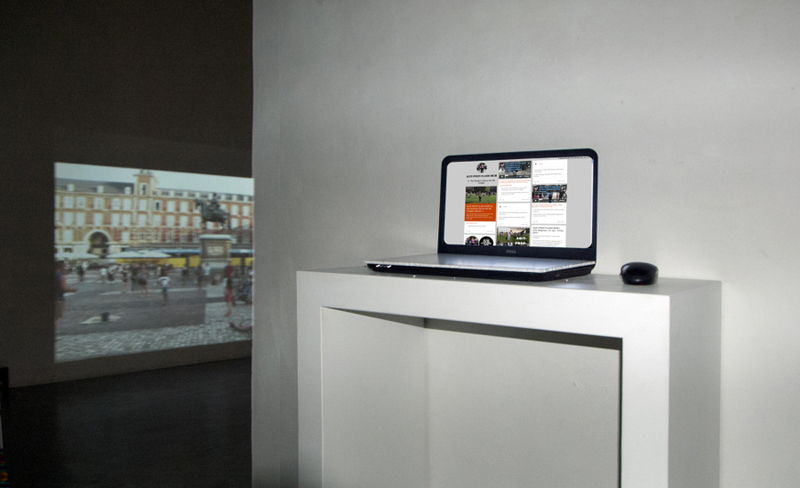 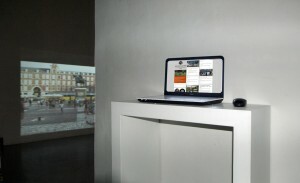 The work participated in the international art project “6PM Your Local Time Europe” organised by Link Art Centre and financed by the Creative Europe Programme of the European Union (22 Jul 2015). 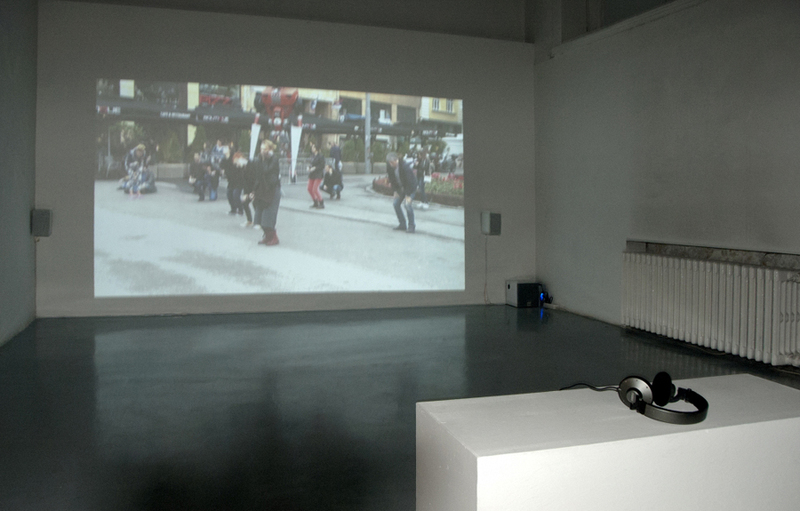 It was also presented at the international symposium „Theatre within the Context… and Not Just Theatre” within 16th Bitef Polyphony (Institute for Cultural Development Research, Belgrade, 23–25 Sep 2015) and it was also exhibited at the artist’s solo show at the Dom omladine Beograda (Belgrade, 29 Oct – 08 Nov 2015).